Bath visitor who helped free slaves. 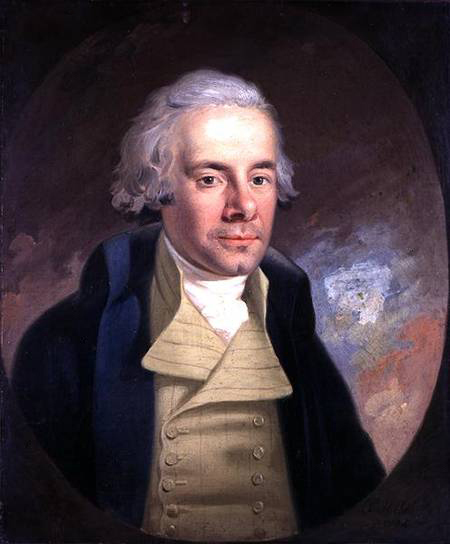 My thanks to Caroline McGinn who is a Bath guide and a follower of the Virtual Museum for pointing out that today – October 18th – is Anti-slavery Day and honours the work done by William Wilberforce (1759-1833) who was a frequent visitor to Bath. ‘William Wilberforce is always remembered as the leader of the campaign to abolish slavery and the slave trade. His bill in Parliament was defeated four times before finally being carried in the House of Commons in 1804. However, it was then rejected twice by the House of Lords before its final Royal Assent in 1807. He was described by a contemporary as “a small, delicate looking man with an intelligent eye, and his head reclining to one side”. Trevelyan said “he was an agitator who always retained his powerful gift of social charm, the outcome of his sweet disposition”. He lived at several addresses in Bath over the years: No 9 North Parade in 1801, and at 36, Great Pulteney Street in 1802 and 1805. There is a bronze plaque on the wall of the latter address to commemorate his stay. He married Barbara Spooner in St. Swithin’s Church, Walcot, in 1797, and a copy of the marriage certificate is on show inside the church, next to that of Jane Austen’s parents, who had also married there, in 1764.